Indonesia and Indonesians have a special place inside my heart. The tagline that points out that Indonesia is wonderful is spot on! In fact, it is so much more than that. Indonesia is truly amazing. It is incomparable. When you hear someone pointing out the beauty of Lombok and Indonesia, they are referring to their fondness that does not just encompass the enchanting, stunning places that abounds but also the precious, warm and loving people. Indonesians possess inner qualities that make Indonesia stand out more than other Asian countries. It shines uniquely in its own magnificent way. Connecting to Mother Earth is a common way to see people enjoying the beauty that Lombok has to offer. This Indonesian island east of Bali and west of Sumbawa is ready to welcome you with renewed strength after the earthquakes and aftershocks that took place a few months ago. They are recovering at a fast rate and tourists are flocking their way back to this glorious island with plans to stay longer. As we all know, blessings in life occur every single day. If we take the time to be aware of them and fully appreciate its endless stream, we’ll notice that life will respond to us differently. The pace and lifestyle in Lombok will allow you to embrace this as well as positive aspects in life that can soothe you, dissolving any blocks towards expressing love towards life and travelling in general. The unsurpassed beauty that you'll get to view from on top of the hill will draw you to the conclusion that Lombok is undoubtedly gifted when it comes to beautiful, natural surroundings of both land and sea. You can’t help but be thankful in the presence of such breathtaking scenery! It’s hard not to gravitate towards its magnificent allure while capturing it on camera. Standing from the point of view of appreciation, it is such a pleasure to watch the spectacular sunset. The act of ascending and descending the hill is also a delightful experience especially when you are accompanied by good people. Located at Tanjung Aan Beach in Lombok, West Nusa Tenggara, this place can be easily accessed from Lombok International Airport and other areas. 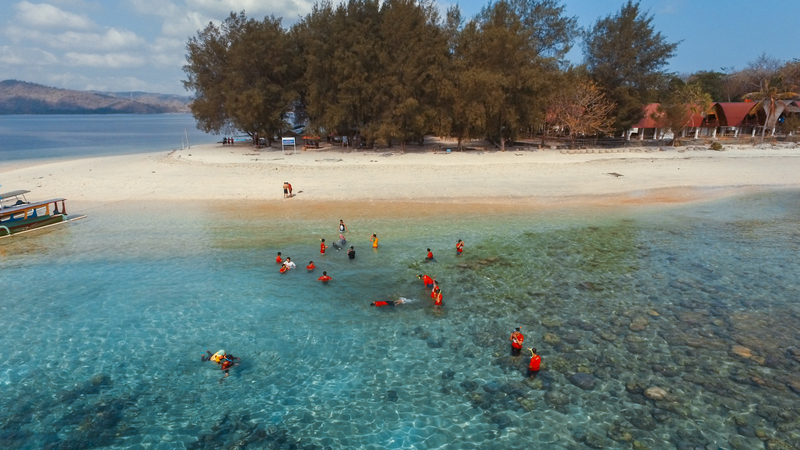 As you hop from one idyllic island to another on board a speed boat, breathing in the fresh sea air, you’ll realise that a trip to Lombok won’t be complete without venturing to these islands. Unique to the Gilis, all forms of motorised transport are not allowed - meaning the only way to get around is on foot, bicycle and in pony carts known as Cidomos. Although every island is different, they all boast white sand beaches, crystal clear turquoise waters and enough diving and snorkelling opportunities to keep you upbeat. It’s also good to know that no matter which one you choose, you’ll always end up being rewarded with the key elements that make your trip to the tropical paradise an unforgettable one. However, going to more than three islands usually lead to a more satisfying experience. 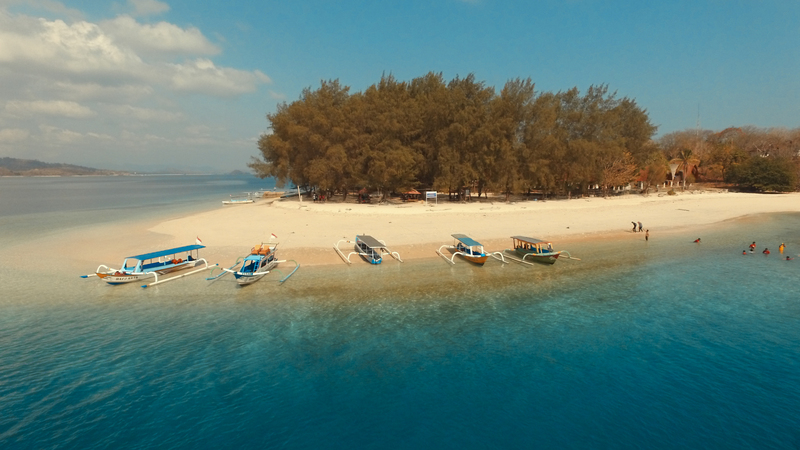 Basically, Gili Trawangan is the largest and is a thirty minutes boat ride from the northwest mainland of Lombok. With various types of accommodation that suits all types of budget, food that appeals to every palate, activities that caters to every age range, this place exudes a sense of warmth that draws you in the moment you arrive. Perfect for those keen on escaping the hustle and bustle of the outside world, the pace of life in Gili Meno is slow and endearing. Gili Air on the other hand is the closest to the mainland. This is your chance to get away from the crowd and acquaint yourself with the local culture. 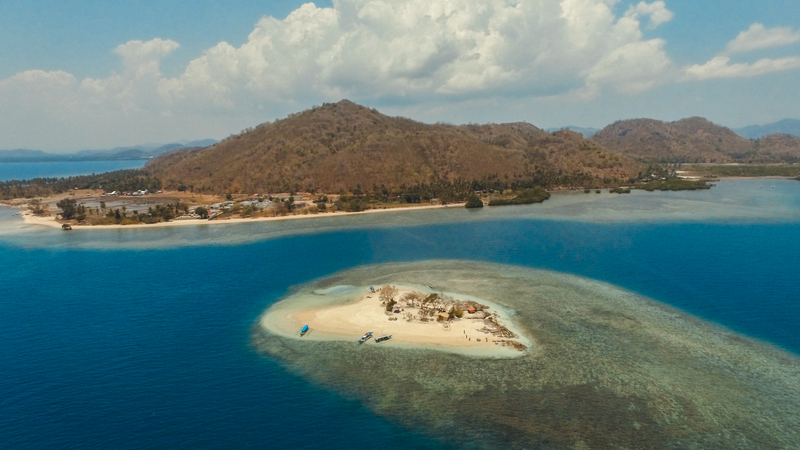 If you long for more pristine island getaways, Gili Nanggu, Gili Sudak and Gili Kedis should also be on your list! Try to squeeze in some time for Kuta’s tranquil treasure and feast your eyes on Mawan and Tanjung Aan’s impressive loveliness. The beaches are ideal for long walks, sun bathing, surfing and other fun sea activities. Many people purchase pearls without any knowledge of identifying whether they are genuine or fake. The good news is, Autore Pearl Farm guided tours allow visitors to learn how to recognise them so that the next time they come across someone selling pearls, they know how to reciprocate. Discover what attributes make a pearl precious and how to distinguish a valuable and rare gem from an inferior pearl. 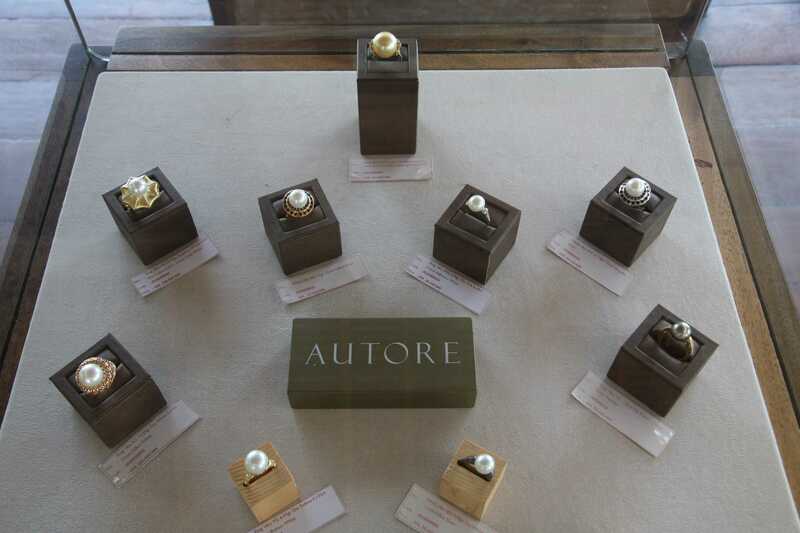 The Autore Pearl Farm, located on the northwest coast of Lombok, is one of the Autore Group’s production sites where visitors have the chance to experience, learn and discover the secrets of this fascinating industry. Famous for its handicrafts and coffee, Sade Village has captured the hearts of both locals and tourists that are looking for authentic Lombok experiences. 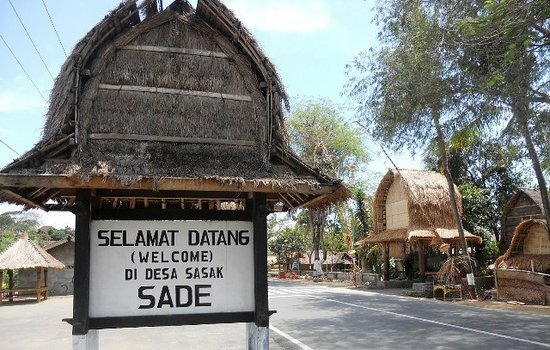 Sade is a traditional Sasak Village in Lombok.The Sasak, a predominantly Balinese ethnic group, makes up 85 per cent of Lombok’s population. Their ancient traditions still endure in this century. For instance, they still kidnap their brides and wash their houses with cow dung. Although shocking at first, unaware of its details, the locals explanation will make you understand, respect and accept it as their way of life. The most ancient Sasak Village in Lombok is the village of Bayan, but the most frequented by visitors are the village of Sade and Rembitan, close to Mataram. Emulate the plans of other visitors to come to Sendang Gile, tucked away in Senaru village in the north part of Lombok. Its majestic waterfall is worth every step of the way! 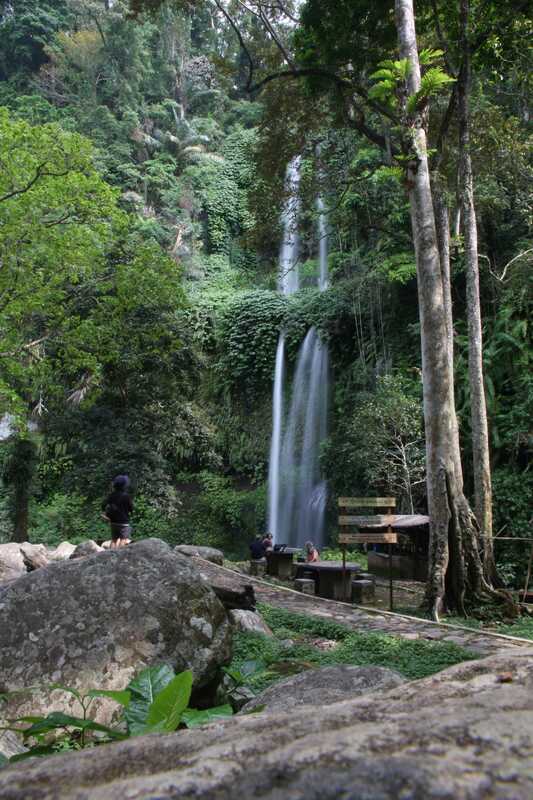 About 2.5 hours drive from the capital city of Mataram, the journey to the cascading water with cool, purifying freshness takes about 15 to 20 minutes from Senaru. You’ll stroll pass spectacular views of rice terraces on the lush green slopes of Mount Rinjani. The magnificent sight of water plummeting down triggers a deeper sense of awe and respect for Mother Nature. Make sure you wear adequate footwear, bring a bathing suit, extra clothes, insect repellent,a rain coat, water bottle and a waterproof bag. 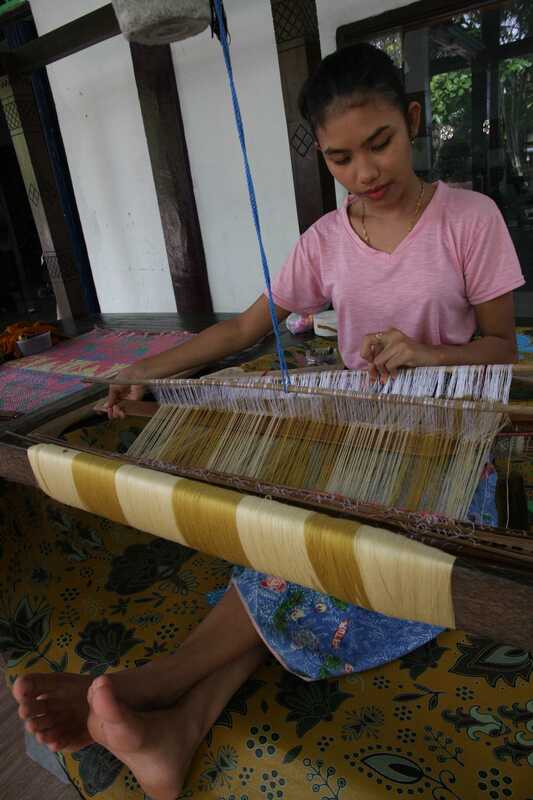 You’ll be impressed with the high quality of weaving at this traditional village, located 22 kilometres southeast from central Mataram. Songket or woven fabric from Sukarara Village has its own features with different shapes and designs. The price depends on the difficulty of determining the motive and the amount of time it takes to complete the work. To maintain and preserve the culture and traditions of weaving, the women at Sukarara are required to learn how to weave since a very young age. These traditionally trained villagers produce an exquisite array of fine woven cloths, using cotton, silk, gold and silver to create their original designs. Picture yourself cycling or walking through Bilebante village while admiring the beautiful panorama of mountains and stunning landscape of lush green rice fields. Bilebante is restful and secluded with sounds of trickling water streams and squelches of mud as one walks amongst the water beds. Experiencing the village and one of the oldest Hindu temples, Lingsar that is located nearby are among the highlights of the trip. This temple which was built in 1714 is considered to be a symbol of harmony between Hindu Bali Lombok and Islam Sasak Lombok. The fountains inside of the temple are known to heal many types of illnesses. You’ll get a hearty traditional meal when you go to Pasar Pancingan. Sitting at one of the huts while savouring authentic Lombok food allows you to feel uplifted with the different flavours.In fact, the mixture of flavours will allow you to experience Lombok’s authentic cooking in a very relaxed setting. Get your hands on the clay and start creating your own masterpiece with guidance from staff members at one of the galleries there. You’ll be surprised that no measurement tools are used. When you watch the art of making potteries and other items, you’ll notice that the locals do it wholeheartedly. One of the interesting handicrafts to purchase as a souvenir is the Kendi Maling (Water Jug). In Indonesian language, Maling means thief. If you want to fill the jug with water, you’ll have to do it from a hole located at the bottom of the jug. The surprising part is, the jug has been perfectly designed so that the water does not come out from the bottom hole. 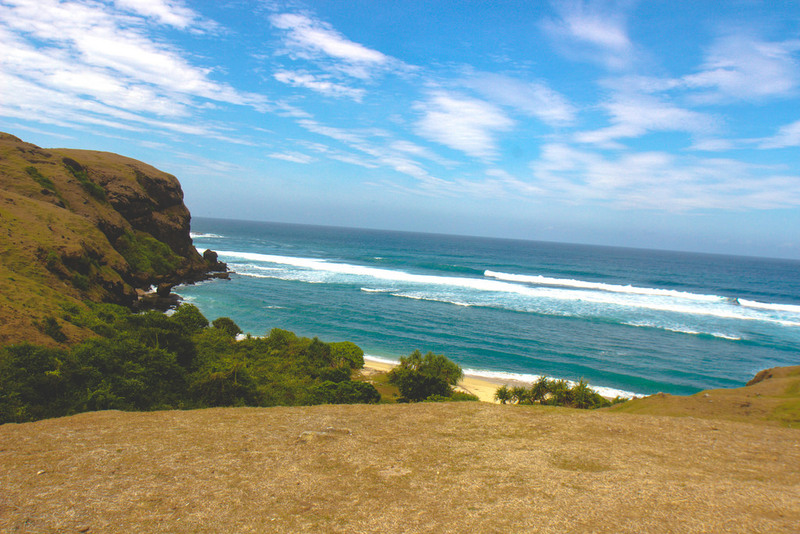 Basically, there’s no shortage of attractions in Lombok. The dining scene is vibrant with cuisines from around the world. The locals are friendly. Each place possesses unmatchable magnetism that is world-renowned. There are also many new things you can learn from their culture and history. Lombok should be savoured, remembered and treasured. In short, this beach-blessed and downright blissful island should be on everyone’s travel radar. With direct flights to the Lombok capital of Mataram, you can start your dream holiday via Malaysia Airlines, Air Asia and Malindo Air from Malaysia. Let's align with life’s goodness in Lombok!